Cooler Master reveals two new products, the CM Storm Sentinel Advance II mouse has a MSRP of $59.99 and the CM Storm Speed-Rx mousepads will start at $19.99. Both products should become available this month. Featuring the most advanced laser sensor, the Avago 9800, Sentinel Advance II is capable of over 8000DPI. This opens the door for much higher sensitivity and accuracy levels than was possible before and even extends its benefits to lower DPI settings. This is coupled with an ultra low lift off distance (LOD) to provide gamers with the ability to perform actions in a split-second. This ultra low LOD allows gamers to quickly reposition their mouse without the fear of sending the mouse cursor flying off to undesired areas of the screen. Sensor improvements also improve the accuracy of tracking on multiple surface types and textures to provide maximum compatibility. Sentinel Advance 2 contains all of the features that made its predecessors great. It includes a 128KB of onboard memory for profile storage and management, customizable color LEDs, a large palm grip, on-the-fly DPI adjustment, and a modular weight management system. A much needed prescription for gaming, Speed Rx uses synthetic mesh that is comprised of nano fibers that are specifically designed for highend gaming grade optical sensors, but works equally well with laser sensors. These nano fibers generate a surface that reduces drag and improves overall tracking. At 5mm thick, it provides a cushion that helps reduce fatigue. A triple layer heat bonding process greatly lengthens the useful life of the Speed Rx. 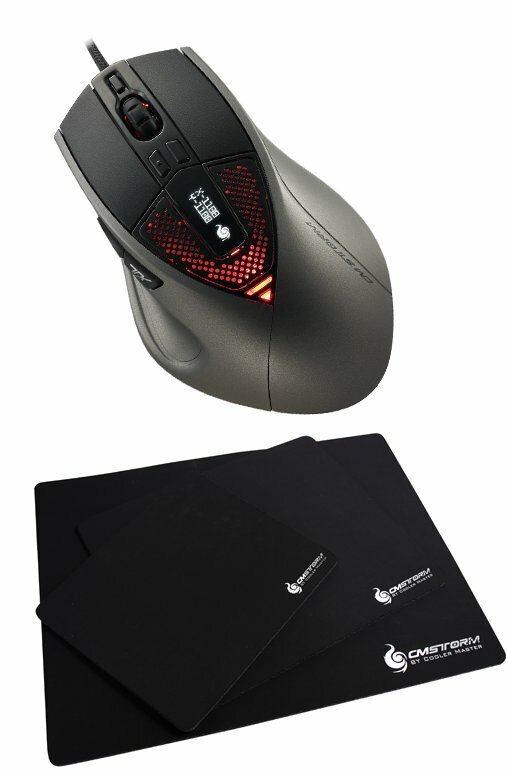 The underside is coated in an anti-slip grip to keep the mousepad positioned as desired.